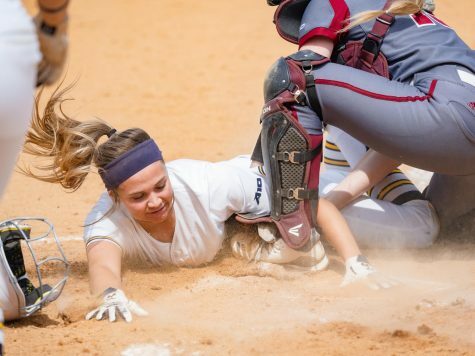 The Massachusetts softball team scored more runs than it had in any game so far this season, but it wasn’t enough, narrowly falling to Western Michigan, 12-10, on Sunday in the final game of the USF Under Armour Showcase this weekend. 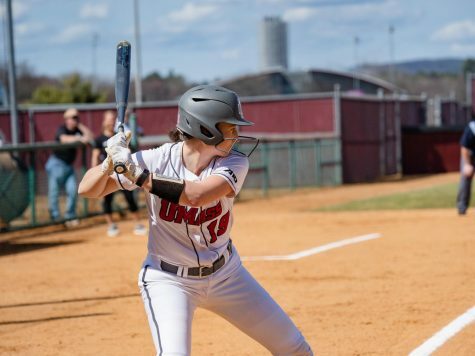 The Minutewomen (2-11) held a 10-6 lead in the fifth inning, but the Broncos scored a pair in the sixth and four in the seventh to hand UMass its fifth straight defeat. 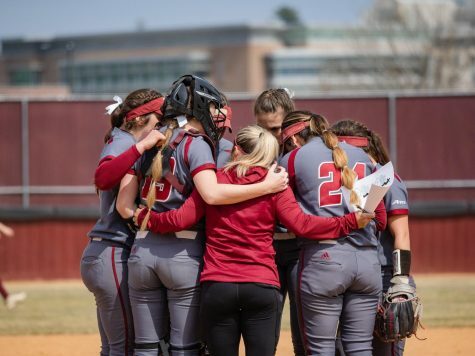 “I think our team, through all this difficulty of being on the other side of a lopsided score, is learning that pressing and trying to make something happen is not necessarily the way to get it done,” UMass coach Elaine Sortino said. Triples by Katie Bettencourt and Mikayla Panko helped mount a five-run fourth inning to build a 9-6 lead. Caroline Raymond pitched 2.1 innings for the Minutewomen, allowing five runs (three earned) on five hits. 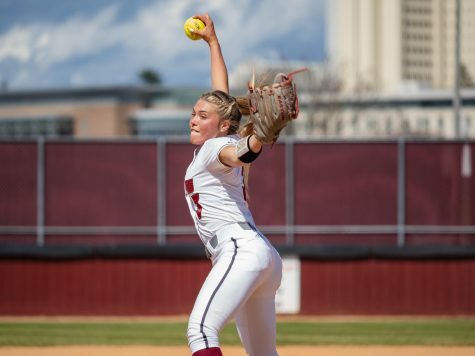 Emma Mendoker pitched 4.1 in relief, surrendering seven runs (three earned) on six hits and seven walks. In their second game on Saturday, the Minutewomen could not get on the board and lost in five innings to Northwestern, 8-0. 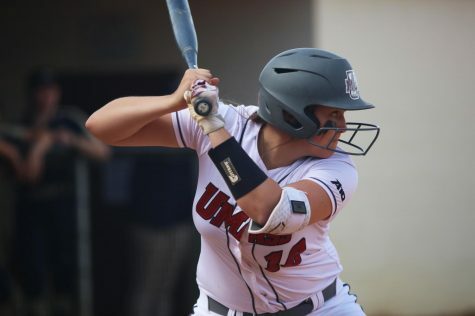 UMass managed just three hits and a walk against Wildcats pitcher Meghan Lamberth, who logged five innings and struck out five to earn her sixth win of the season. Mendoker started the game for the Minutewomen and pitched one inning, allowing four runs on three hits and a walk. Bridget Lemire came in for relief and pitched 3.1 innings, giving up four runs (one earned) on seven hits and two walks. The bulk of Northwestern’s runs came from three two-run homers from Amy Letourneau, Andrea DiPrima and Paige Tonz. 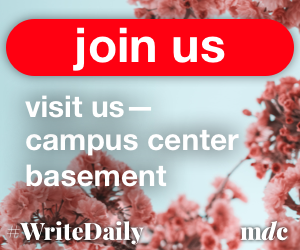 The second day of the showcase did not start well for the Minutewomen, as they lost to Central Michigan, 6-2. UMass trailed by just one in the sixth, but the Chippewas added three insurance runs in the bottom half of the frame to seal the victory. Central Michigan got on the board quickly, scoring two unearned runs in the bottom of the first. 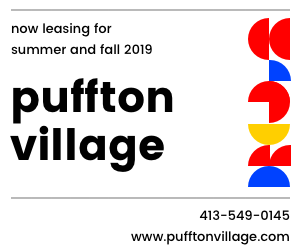 Diaz-Patterson hit a triple to deep center, and an error on a putout attempt by second baseman Brittney Horan allowed Diaz-Patterson to score to cut the deficit by one in the fourth. 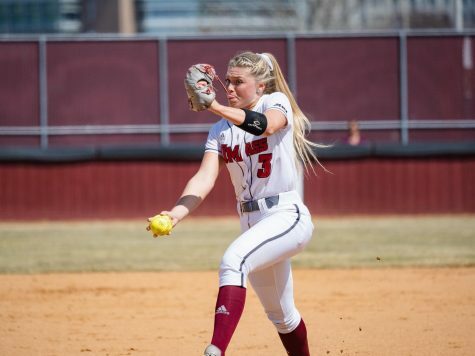 UMass fell to host South Florida in a 12-1 blowout in five innings on Friday afternoon. 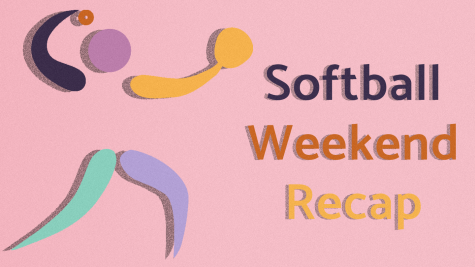 The Minutewomen started out strong, scoring the game’s first run in the top of the first when Cyndil Matthew led off with a single and Diaz-Patterson drove her in with a double to left. 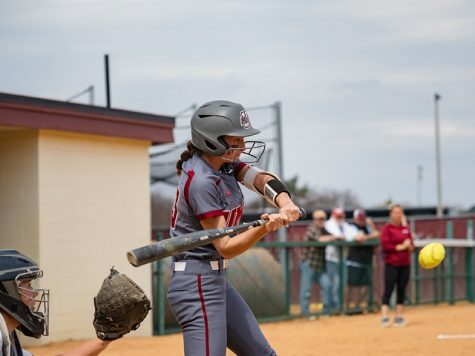 However, that was the only run UMass scored, and the Bulls rattled off three runs in the bottom of the frame on back-to back home runs, one run in the third off another homer and eight more in the fourth off six hits and an error. Raymond pitched two innings, allowing four runs on six hits and a walk. Mendoker pitched 1.1 innings while giving up seven runs (six earned) on six hits and two walks. The Minutewomen had a rocky start to the Showcase, losing in six innings to South Carolina, 13-4. The Gamecocks scored in five of the game’s six innings, including a six-run sixth inning that put UMass away. Trailing 2-0 in the bottom of the second, the Minutewomen took a 3-2 lead off a three-run homer by Lindsey Webster. But South Carolina scored two runs in the top of the third and never looked back. UMass committed five errors, the first of 15 it would commit over the weekend. Sortino said the fielders have been facing a lot of high pressure that cause them to try to force plays. “The defense gets in a situation, there’s runners on base, the team is close, and we start making a throw before we have a ball,” Sortino said. 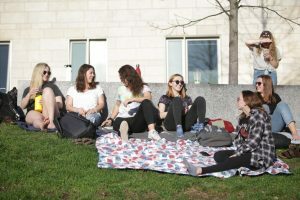 “We start trying to do a little too much, and that’s the thing where I see us starting to get a little bit more settled. Raymond pitched 5.1 innings, giving up nine runs (six earned) on seven hits and four walks and striking out one. Mendoker pitched the last 2/3 innings, giving up four runs (none earned) on two hits and a walk. 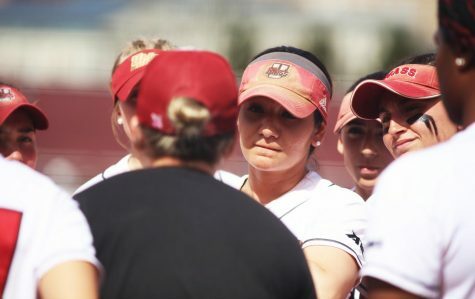 While the team’s inexperienced pitchers have had a rough time transitioning into their full-time roles, Sortino said they are gaining game experience and showing promise for the future. This weekend, the Minutewomen compete in the SDSU Classic in Santee, Calif. Their first game is against San Jose State, and it is set to start Friday at 5 p.m.